Alloy 20 Pipe Flanges, Alloy 20 Nippo Flanges, 150# ANSI Alloy 20 Flanges, Alloy UNS N08020 Pipe Flanges, ANSI B16.5 Alloy 20 Orifice Flange, Carpenter 20 Slip On Flanges Supplier in Mumbai, India. Ganpat Industrial Corporation offers an exceptional array of Alloy 20 Pipe Flanges, where our entire product range ensures impeccable finishing and is performance based. These Alloy 20 Pipe Flanges (UNS N08020) is stabilized with Columbium to minimize carbide precipitation during welding. Alloy 20 Slip On Flanges particularly excels in resisting corrosion to hot sulfuric acids when compared to conventional stainless steels such as 316. 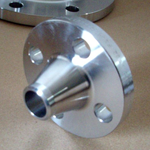 These Alloy 20 Weld Neck Flanges has excellent resistance to general corrosion, pitting, and crevice corrosion in chemicals containing chlorides and sulfuric, phosphoric, and nitric acids. Alloy 20 Spectacle Blind Flanges resists pitting and chloride ion corrosion and its copper content protects it from sulfuric acid. Meanwhile, Alloy 20 Threaded Flanges are also being offered in different sizes and shapes to our customers, where we also offer the same at best prices. Welding of these Alloy 20 Socket Weld Flanges is commonly performed via, TIG, MIG as well as submerged arc welding (SAW) using either the matching filler metal, ER320LR for TIG and MIG and E320LR for SAW. 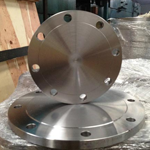 There has long been a debate on whether Alloy 20 Lap Joint Flanges is a stainless steel or a nickel alloy because the nickel content is right on the border of defining it as one way or the other. 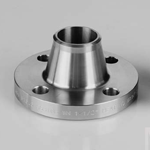 So, depending on who you talk to this alloy may be referred to as these Alloy 20 Ring Joint Type Flanges or as a nickel alloy. ANSI B16.5 Alloy 20 Ring Type Joint Flanges, Alloy 20 Spacer, Carpenter 20 Industrial Flanges Stockholder, ASME SB462 Alloy 20Cb-3® Lap Joint Flange,Alloy 20 Spectacle Blind Flanges, Carpenter 20 Screwed Flanges Stockist, Alloy 20 Forged Flanges Manufacturer. 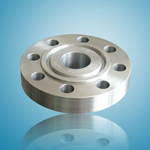 Alloy 20 Flanges are widely used in various industries including petrochemical, oil and gas, power generation, bulk liquid transportation, chemicals, pharmaceuticals, pulp and paper manufacturing, textiles and others. 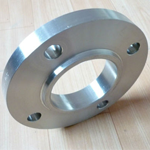 All our Alloy 20 Flange are manufactured in accordance with international standards. Carpenter 20 Pipe Flange are packaged to ensure that there is no damage during transit. In case of exports, standard export packaging is done in wooden cases. All Alloy 20 Plate Flanges are marked with Grade, Lot No, Size, Degree and our trade mark. On special requests we can also, make custom marking on 20 Alloy Flanges. alloy flanges, alloy flanges, alloy 20 blind plate flanges, alloy 20 raised face blind flanges, 20 alloy lap joint flanges, alloy 20 slip on plate flanges, 20 raised face socket weld flanges, alloy 20 raised face threaded flanges, carpenter 20 raised face weld neck flanges, 20 alloy raised face slip-on flanges, alloy 20 industrial pipe flanges, alloy flanges specifications, alloy 20 flange price list, alloy steel 20 threaded pipe flange, alloy 20 flange price, alloy steel 20 flange dimensions, alloy steel pn16 flange dimensions, alloy 20 flange alloy 150, carpenter 20 flanges dimensions, alloy 20 flanges manufacturer.